Pittsburgh Restaurant Week is currently seeking sponsors for Summer and Winter celebrations. Trying to get your brand, product or service picked up by restaurants across Pittsburgh? Each restaurant owner receives a special “Restaurateur Media Kit” with details for each restaurant week. Inclusion in this special distribution kit and exposure at the Wrap Party provide direct access to Pittsburgh Restaurant Owners. Two tickets to a PRW event. Spotlights in e-mail newsletter promoting a service, product, or exclusive deal to all participant contacts. What does exposure on the website get you? 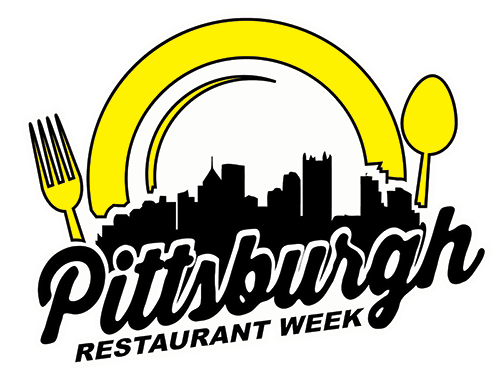 The Pittsburgh Restaurant Week website has over 500,000 pageviews each celebration. Additional web site statistics are available upon request. 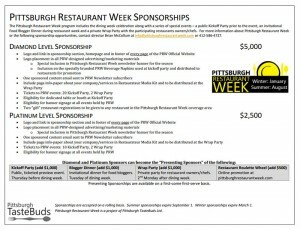 Contact info@pittsburghrestaurantweek.com to start building your custom sponsorship package today.